We Believe….That children are unique and develop in their own time and pace. 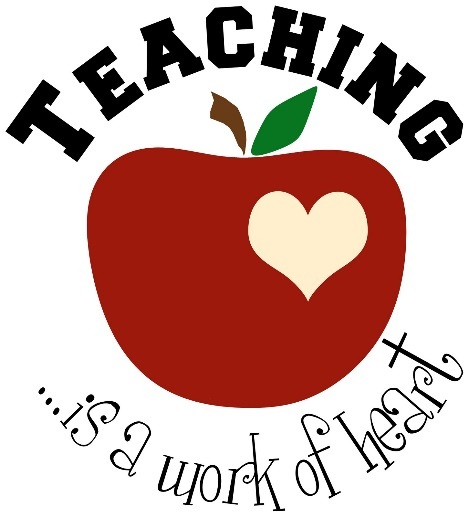 That through the guidance of our teachers, children will learn about self-respect, respecting others, sharing, listening, and embracing God’s love. Our goal is to create strong relationships among the children, their families and the church community. Saint Mary Magdalene Catholic Church Preschool teachers are experienced, dedicated, and excited to participate in our preschool program. All staff is screened and approved by Saint Mary Magdalene Catholic Church and the Archdiocese of Atlanta. They are also required to participate in continuing educational seminars, workshops, and conferences. We firmly believe communication is the key to a child’s success. As the staff works to collaborate with the parents, the child will soar to great heights. Our hopes are to build a relationship with the families in hopes of seeing one another as extended family. As such, we provide many opportunities for fellowship among our families to get to know each other. 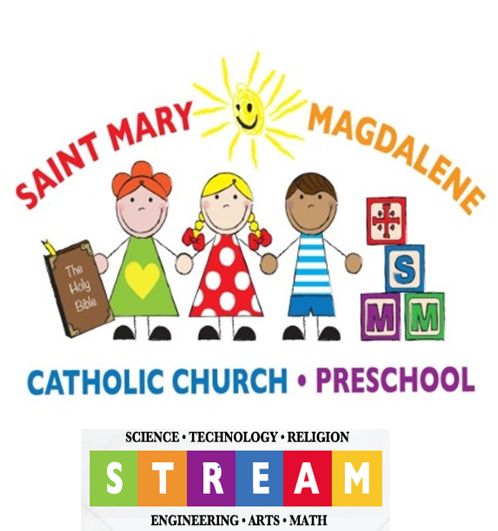 Saint Mary Magdalene Catholic Church Preschool is under the supervision of the Archdiocese of Atlanta Office of Catholic Schools. 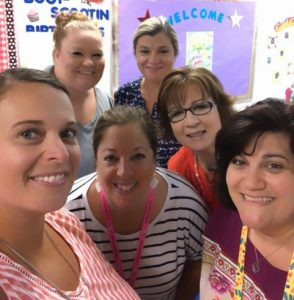 Our Director and staff attend Professional Development courses provided by the Archdiocese of Atlanta Summer Education Institute and other training agencies, and also maintain certification in CPR and First Aid. 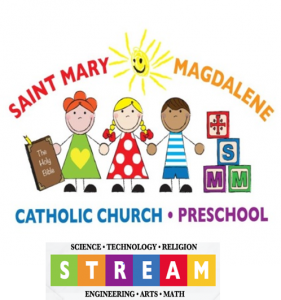 Saint Mary Magdalene Catholic Church Preschool operates under the guidance of the Archdiocese of Atlanta Office of Parish-Based Early Childhood Programs, Mary Jo Nichols – Director of Parish Preschools. You can reach her at 404-920-7704. In our program, we include scheduled times for snack and lunch at no additional charge. As such, our program runs from 9:00 am to 12:30 pm. A list of nutritional snack and lunch food ideas are found in the handbook. The preschool curriculum is designed to be an enriching experience with hands on learning opportunities. Thematic units of study are planned based on the class’ interests and each individual child’s development. ClearTouch™ Interactive Boards in use offering our teachers infinite new options for engaging our students in a meaningful and interactive way. 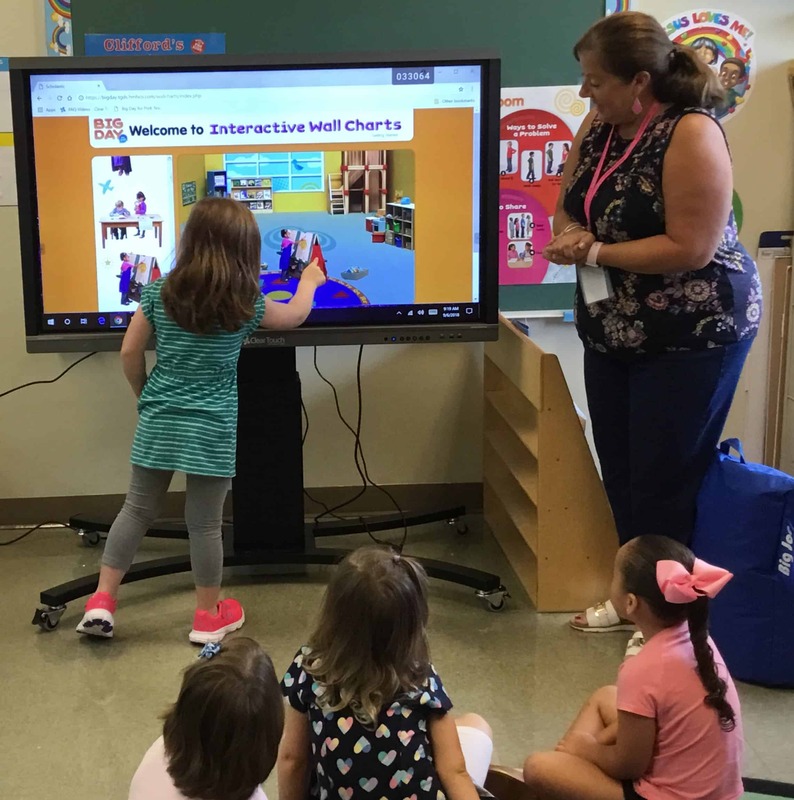 This early exposure to classroom technology prepares our students well for kindergarten. Secure location: Video surveillance; doors remain locked to preschool entrance and exit while children are on site. Director and teachers are trained in “Active Shooter Training”. Tornado and fire drills are practiced regularly. An Emergency Preparedness Plan is in place. All church and preschool staff are certified in CPR and First Aid. All are also trained under the Archdiocese of Atlanta Safe Environment Program (VIRTUS).